Urbix specializes in all aspects of the graphite value chain. We are a premier provider of Graphite Ore, Refined Graphite Powders, Graphene, and other advanced Graphite Products. 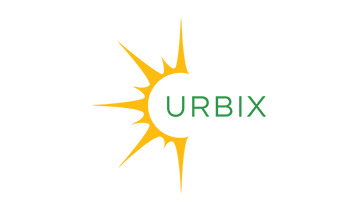 Urbix also specializes in advanced energy storage cell designs and materials, including high-voltage electrolyte. Urbix uses proprietary methods for in an environmentally conscious purification of various graphite products. Urbix customers can trust that their raw materials are the most responsibly produced in the world. Share in our vision for a greener carbon future. Urbix is partnered with some of the rarest graphite mines in the world, with some Run-of-Mine Ore exceeding 92% Cg. Leveraging our proprietary graphite purification, graphene exfoliation, and electrolyte technologies, Urbix seeks to achieve the most economically viable graphite, graphene, and energy storage products in the world. Urbix can cater to customer needs and demands far better than the present industry giants, while still competing on a global stage. Beyond Urbix graphite expertise, Urbix offers robust state-of-art energy storage competency and is a premier collaborator. Contact Us to learn more about how Urbix can benefit your business today.